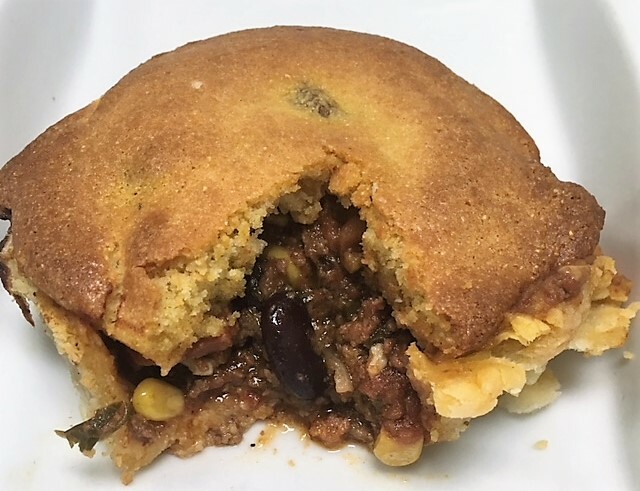 We offer six different flavours of mini pies weekly to make up an itty bitty six pack or to be purchased in any amount. The mini pies usually include a fruit crumble, a couple of cream pies, a mini cream cheese and butter pecan. Any mini pie can be made into a 9" size. We are always coming up with new flavours but if you have a craving for a favorite flavour, let us know early in the week and we will try to fit it into the weekly line up! If you don't see the flavour you are looking for, contact us. Give us at least 48 hours notice when ordering! Contains at least two types of local freshly peeled apples, lightly sugared and a touch of cinnamon. Choice of crumble or pastry. Plump and juicy pre sweetened cherries from Cherry Lane makes this pie a winner. Decorated with a beautiful woven pastry lattice. Blueberries handpicked at the height of the season with abit of sugar tastes like summer. Choice of crumble or pastry. Sweet local strawberries and rhubarb generously donated from family and customers. Choice of crumble or pastry. Strawberries, raspberries, and blackberries lightly sweetened, give this mixture the best sweet' n sour combo. Choice of crumble or pastry. A creamy spiced pumpkin filling inside of our flaky pastry. Too good to be just for the holidays. Our creamy filling is full of flaked coconut and pairs perfectly inside our buttery pastry with lots of real whipped cream and toasted coconut on top. An itty bitty speciality pie consisting of a creamy spiced sweet potato filling and topped with toasted marshmallows and crushed pecans. Then drizzled generously with our salted caramel sauce. An itty bitty speciality pie. We use freshly squeezed key limes and our own graham cracker crust recipe....one bite and you feel like you are in Key West. Subject to availability. Our creamy filling is full of chunks of real strawberries inside of our flaky pastry and heaped with real whipped cream. 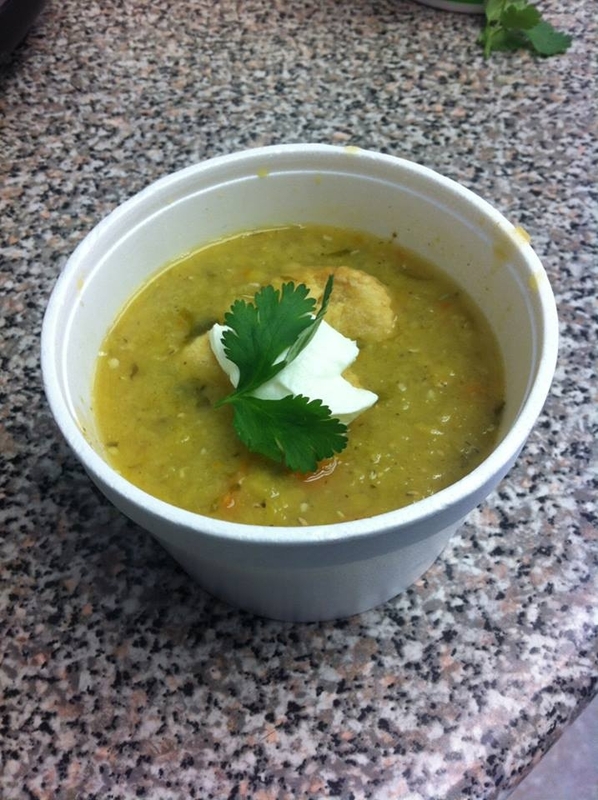 What can we say.....one bite and you are hooked! A filling consisting of peanut butter, cream cheese and whipping cream inside of our graham cracker crust. 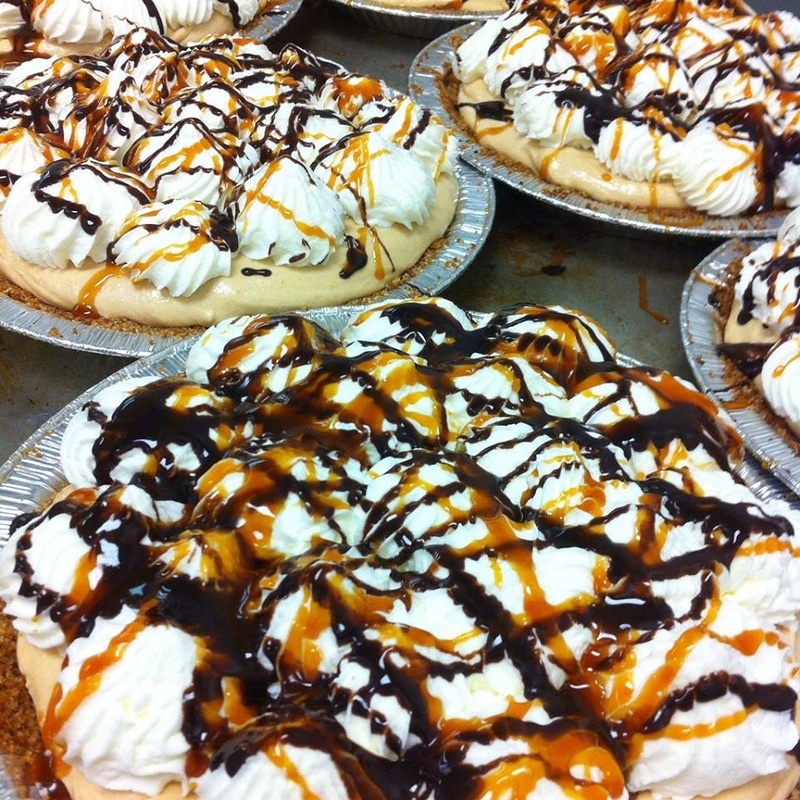 Then topped with a hefty amount of real whipped cream and drizzled with our salted caramel and chocolate sauces. This southern fave is heaped full of pecans in a not too runny filling. Seasoned ground beef, black beans & cheddar cheese. Top with taco toppings after baking. Steak & potatoes in a heavy on the Guinness flavoured gravy. Ground beef seasoned with Caribbean spices & Scotch Bonnet to give it a little heat. The crust is different from the others, with curry pastry. Steak, kidney, potatoes & peas in a rich beef gravy & topped with puff pastry. Ground beef, diced tomatoes, kidney beans, corn & chipotles & topped with cornbread. Ground beef & peas in a rich beef gravy & topped with buttery mashed potatoes. Chicken, carrots & celery in a creamy medium spicy sauce. Chicken, potatoes & carrots in a bold Jamaican curry sauce. Chicken, carrots, peas & celery in a creamy herbed sauce. Chunks of chicken in a packed with flavorful Indian spiced tomato based sauce. Encased in our flaky pastry. Ground beef, ground pork & potatoes seasoned with herbs & spices unique to this French Canadian savoury pie. Seasoned pork, apples, celery & onions in a herbed gravy. A variety of flavours of offered based on seasonal vegetables. Chickpeas, potatoes & carrots in a tasty curry sauce. Mushrooms, lentils & carrots together in a herbed sauce. 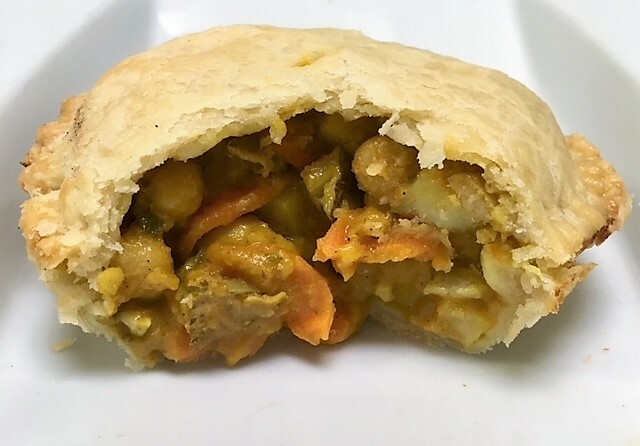 Veggie protein, scotch bonnet peppers & Caribbean spices make for a pie with some heat and great taste! Broccoli, cauliflower, carrots, kale, onion.....so many veggies! All together in a pesto flavoured almond milk sauce. 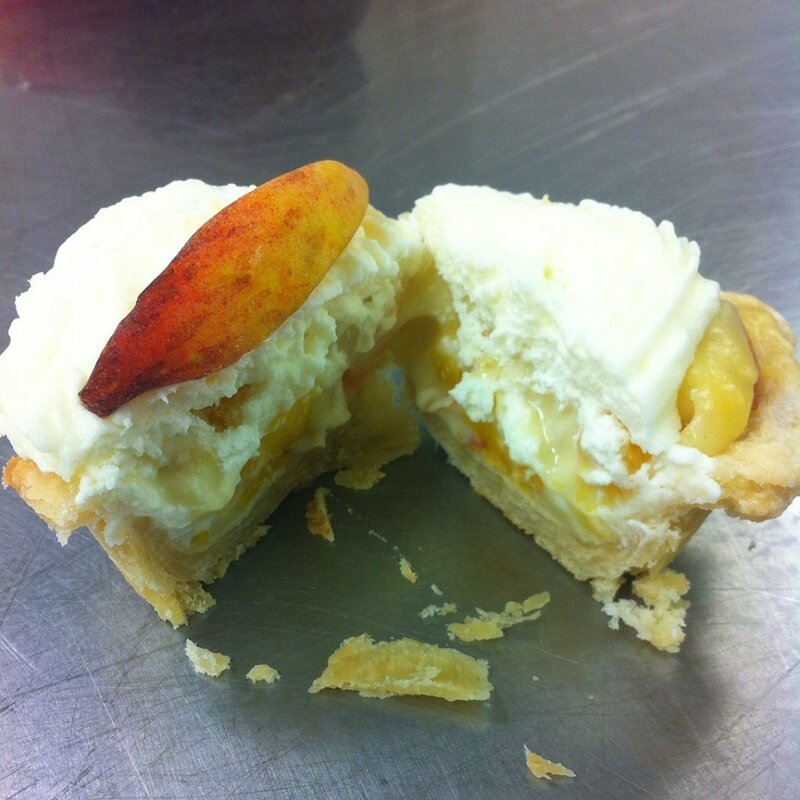 All of our fruit based pies are made without any animal products and encased in our flaky vegetable shortening pastry. Jack fruit flavoured with bbq sauce and liquid smoke all mixed together and topped with our vegan, flourless,creamy mac'n cheese. Spinach, feta & baby tomatoes and topped with phyllo pastry. Carrots, brocolli, cauliflower & kale in a creamy pesto sauce. White mushrooms & portabello mushrooms in a creamy herbed sauce. Topped with a savoury crumble. This highly addictive sauce is great on a slice of apple pie, ice cream, popcorn, fruit or straight from the jar! We are proud to offer three flavours of their amazing jam in our shop! 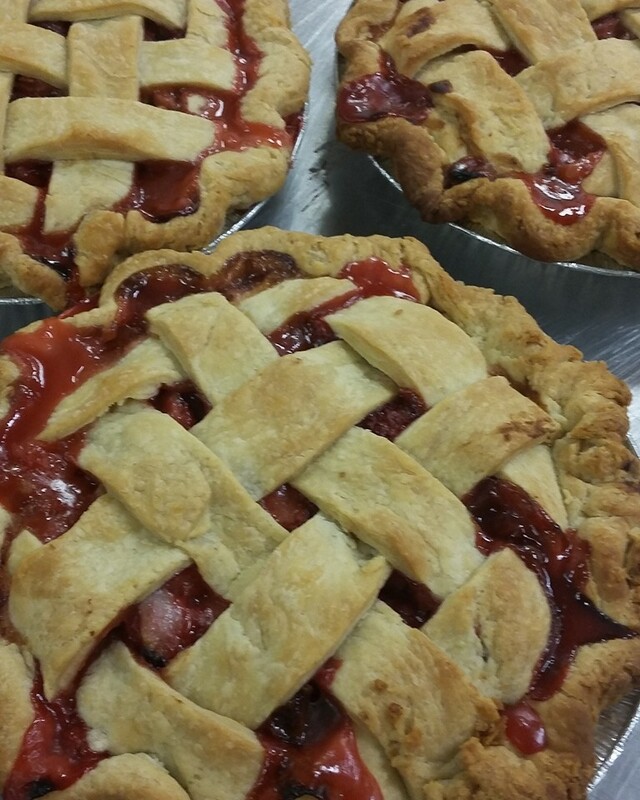 Made with all local fruit (peach, strawberry & grape jelly) and proceeds are given back to our community.